I feel like I should put a disclaimer on this post: I do not usually do a pamper Sunday. Most likely I just do it whenever I feel gross, and my face feels like crap from wearing too much makeup. I was feeling really gross new year's day, because the night before I had gone out with friends, and yes I did remove my makeup when I got home, but you know that feeling when you wake up, and you just feel like ick? Well that was my dilemma. 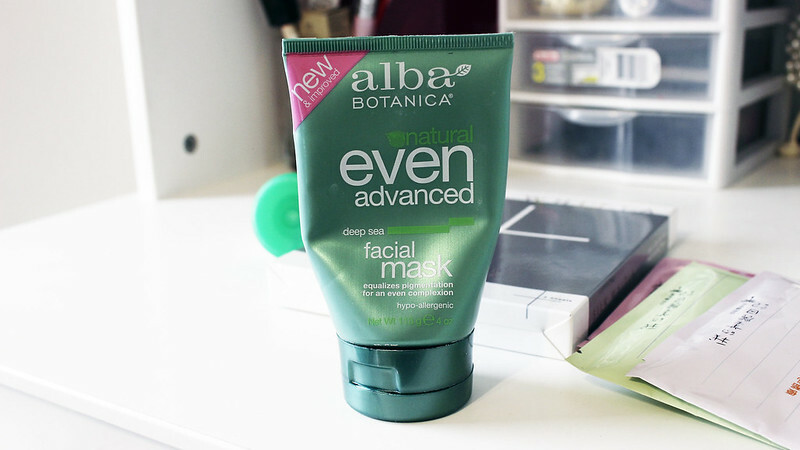 So first off, I use the Alba deep sea facial mask and this stuff dries hard. So it's difficult for me to smile, or to even move my jaw. But this mask is good for those times, when I'm just sitting in front of the computer typing up something... Like this! I only put this mask on problem areas of my face, like my chin area, and sometimes my cheeks. The second thing I do after putting on the Alba mask is I will usually clean my face off with the Simple cleanser. Yeah you remember this post don't you? Well I love this stuff because it's gentle, and it's not harsh on my skin. Sometimes I do use my clarisonic cleanser as well (not pictured). The last thing I do, is I'll usually whip out a sheet mask. 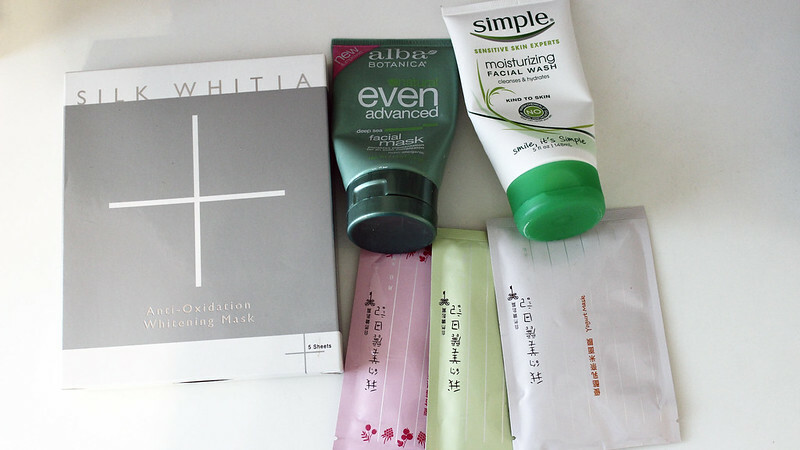 These are some that I'm currently loving: Silk Whitia, for those times that I want my skin to feel nice and smooth. The My Beauty Diary masks have different treatments, and I still have a whole box that I haven't gone through yet. There are so many different ones for the MBD masks, that I cannot even begin to tell you which ones are good! I have yet to try them all myself. But feel free to browse through sasa.com, to see which ones you might like. Love me a good pamper routine! I currently enjoy the boscia peel off masks...my skin is always so soft and clean afterwards. I love a good pamper day! I have to say I've never tried a paper mask before, maybe I'll give these a try! I feel like I need to use a moisturizing mask of some kind. I'd love to try out these sheetmasks! You should definitely try out a sheet mask out! They make my skin feel way smooth afterwards. Try to find products that don't have any scents, or you can make your own masks. I'm thinking of doing a blog post about making natural masks from regular ingredients that you can find in your house. Try sasa.com. I bought a lot of these masks in the past, and I still have 3 boxes of them. I used to use MBD masks so often! My fav was the strawberry one. Recently I've started to use Freeman claw masks instead, they are really good! I'm like you that I reach for a mask whenever I'm feeling blah. Right now though my fave mask is Black Tea or Rose from Fresh. I feel so great afterwards. Oh that sheet mask looks interesting, never used one like this before. I will certainly stop by the site.